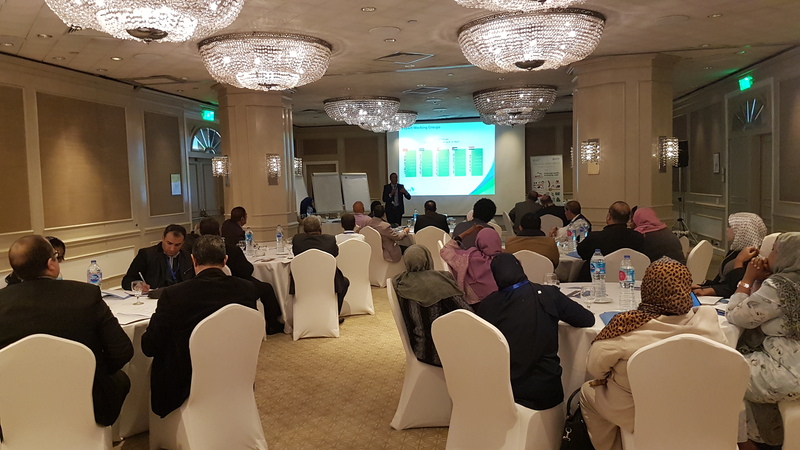 Thirty-eight participants from Yemen, Sudan and Egypt are currently meeting in Cairo for a three-day workshop on Codex Alimentarius and its procedures. Organized by the SAFE Codex Initiative with the support of FAO and the United Nations Industrial Development Organization (UNIDO), this training is part of the planned activities under the Codex Expert Working Group work plan, aimed at helping countries in the Arabic region define priorities on food safety and Codex. “Effective coordination and raising the level of Arab participation in Codex work was identified as one of the main priority work areas in the region", said Jozimo Santos Rocha, Agro Industry Officer at FAO. The main objective of this initiative is to enhance the contribution of Arab Food Safety competent authorities in Codex Alimentarius. Assisted by the Codex Secretariat and Saber Mansour from the regional FAO food safety office, over the three days participants will be discussing the status of participation of Arab countries in Codex work to keep food safety and fair practices in food trade as high as possible on national and regional agendas. Mariam Eid, Vice-Chair of the Codex Alimentarius Commission from Lebanon said, "the workshop will enhance the organization of national Codex structures with the aim or raising the effectives of participation and involvement in Codex work". By working in teams led by the respective Codex Contact Points, participants will be sharing information on current work in Codex, with a view to forming a regional position ahead of the upcoming session of the Regional Coordinating Committee for Near East in November 2019. “This workshop provides us with an important opportunity to highlight best practices in Codex work through a harmonized regional guideline for Codex activities in our countries. This will improve national Codex infrastructures and raise cooperation in the region. – says Ahmed Mohammed Elhelw, CCP for Egypt – A better knowledge of Codex and its tools will help us leading the work also at Committees level”.